Well it has been many a year since I have visited this establishment in its previous incarnation as the Toastmasters Inn. 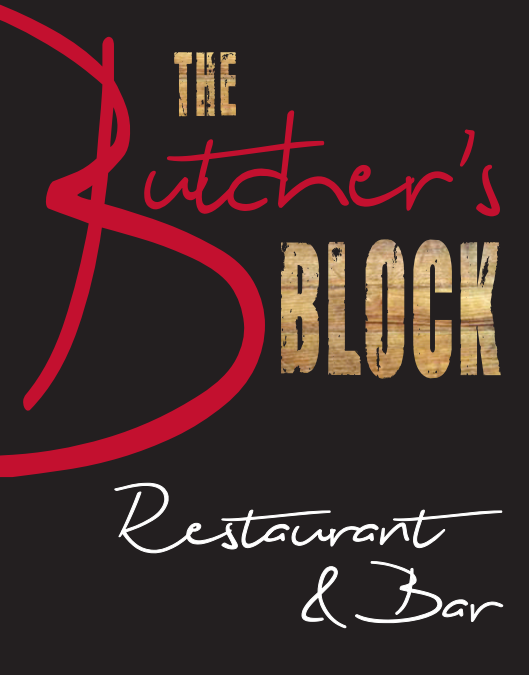 About three months ago it reopened its doors following a major refurbishment and renamed the Butchers Block… a reference to its provenance of being owned by a butchers family. I have to declare at this point I have a big affection for this place as I spent some of my earlier culinary years at this place and worked alongside the proprietor who was something of a mentor to me and instilled a real passion for cheese if nothing else. The place has been beautified and decorated in a pleasing way but it is the menu that for me speaks volumes about their aspirations and aims. 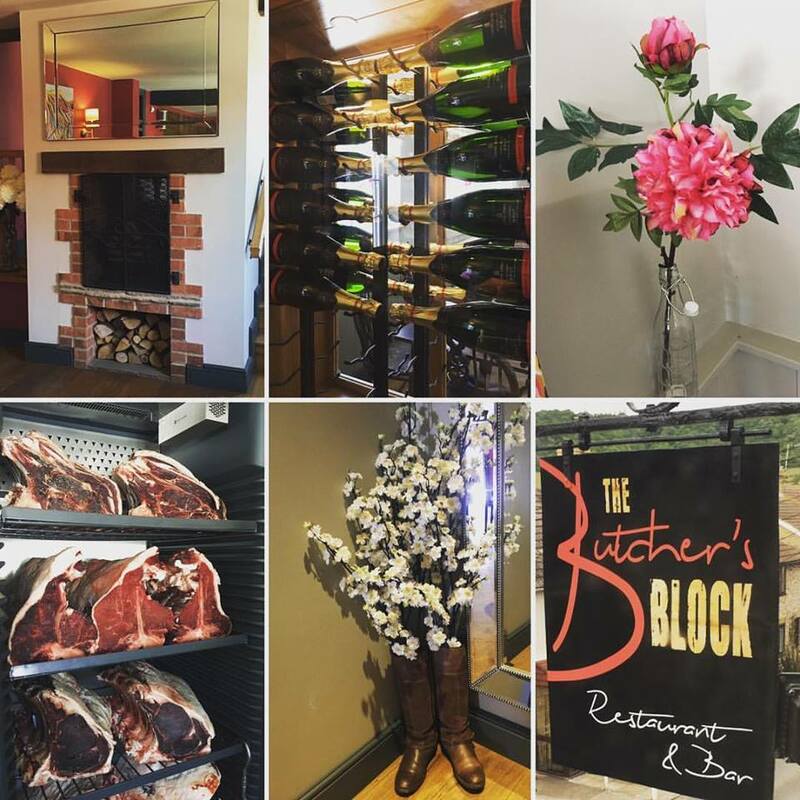 It is obviously and rightly very meat centric (considering their connections) and features a meat cabinet in the dining areas entrance that displays some really good looking hunks of ageing beef. The menu highlights for both lunch and dinner are steaks and prime cuts from a T Bone to a Cote de Bouef or Fillet with the classic accompaniments. These all come with a price tag that whilst not eye watering expensive they are not such good value as perhaps lesser known cuts would be. Why not feature a Jacobs Ladder or a bavette. Especially on a lunch menu where a diner wants to eat more quickly as they are time constrained and also price sensitive. It is a continual debate even in high end restaurants in the big metropolis that you can eat a highly accoladed meal for far better value for lunch than dinner. The Butchers Block is really missing a trick here and need to rethink the offer. It should be a shop window for what to expect for the more formal dinner service and in particular special occasion diner. So what did we eat – well we did not fancy a paddle (wooden board) Ploughmans, charcuterie board or fish platter but craved something a little more substantial and the burger whilst tempting had been our menu choice the day before on a visit to Windsor. So we opted for Fish & Chips a pub classic and then a Steak and Ale Pie – both priced at £12.90 seemed to be the choice of the majority of all the other diners as the Steaks were all prices at double this amount. A wait of just on one hour from when we had entered the place was our experience before our food arrived. It was not busy and I felt the kitchen was struggling to cope to produce what was pretty basic fare. Fish & Chips arrived on a wooden board (a modern trend that needs to be discouraged) and was duly sent straight back to be put onto a plate as Mrs HC wanted to eat it off a hot plate! My Steak & Ale Pie came served in a bowl shaped plate – better than a board but again not my favourite receptacle shape as the cutlery has a tendency to fall into the centre if ever you rest it on the rim! Much was made of the fact the pastry case was short crust and the top was puff pastry and whilst tasty with a well cooked inside filling the gravy boat with extra sauce was much need as it required some extra lubrication, the accompanying mash and vegetables with it were not so pleasing. Gritty baby carrots and then sugar snaps were nestled alongside a mash potato that had a stale flavour that was close to turning. The pie was I suspect not made in house which for £12.90 was not really good value. I was hungry so ate it and did not fancy an hours wait for a replacement. Overall I had and expectation that this place would deliver something far better than it did. It could be described as very average and the fact they have access to high quality produce they could execute it all with more flair and imagination. Service was also lacklustre and in need of polish. There seemed no urgency and classic example of lack of communication between the husband and wife team resulted in us being overcharged for our two small glasses of wine. Quickly rectified when pointed out however the landlord did not seem to posses the social skills to back it all up. Not a natural front of house so left us feeling it was all a bit amateurish. It had been many years since I had been in the place and I guess it will now be many more years before I will want to make a return visit… says it all really.